It’s Kimberly with Get Away Today. 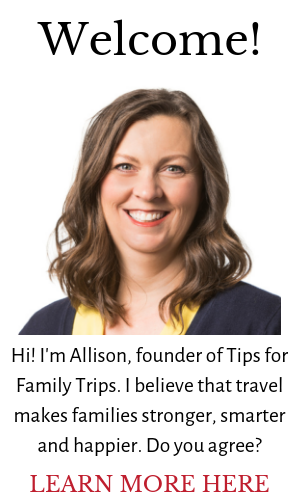 Today I’m excited to talk to you about the future… and share my best tips for booking a 2019 Disneyland vacation. Why is getting ready for next year’s summer vacation to Disneyland right now so important? If you haven’t already heard, Disneyland is facing an unprecedented year with the opening of Star Wars: Galaxy’s Edge. It’s going to change everything. 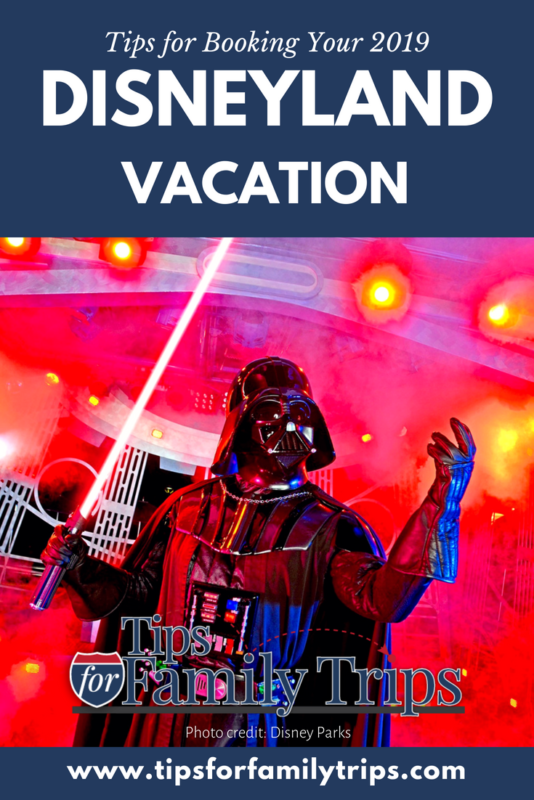 But no need to fear, I have have five tips to help you book your 2019 Disneyland vacation. When Galaxy’s Edge opens at Disneyland, it’s going to be huge. Like galaxy huge. Nothing this immersive has existed inside the Disneyland Resort. And let’s face it, there’s no other franchise quite like Star Wars. Disneyland has only announced that Galaxy’s Edge will open in Summer 2019. That could mean Memorial Day weekend, or it could mean August. We know that Disney would like it to be open as soon as possible, but also know a land with this much technology will take a lot of testing. It’s probably wishful thinking that it will be open for Memorial Day Weekend. Because of that, it’s more likely that it will open later in June or even July. Because there isn’t an official opening date, there’s some guess work for planning vacation dates. If you want to beat the Star Wars rush, you’ll likely be safe planning a trip January – May 2019. If you want to be sure you are there for Star Wars: Galaxy’s Edge, I would recommend booking dates for late summer, or even early fall. Speaking of fall, Star Wars: Galaxy’s Edge is scheduled to open in fall 2019 at Walt Disney World. Because Disneyland is getting Star Wars first, it’s probable that it’s going to attract visitors from all over the country. Once both Star Wars Lands are open, there may be a slight drop in crowds. Disneyland typically raises prices for the year in February. That means that if you purchase your Disneyland tickets through Get Away Today right now, you are essentially getting 2019 Disneyland tickets at 2018 prices. Disney hasn’t given an inkling as to when they may announce the official opening date for Star Wars Land, but I have a feeling that once they do, prices will go up as well. I don’t know if this means two price increases, or just the one for next year. Either way, there is an advantage to purchasing 2019 Disneyland at 2018 prices. And the only way to guarantee that is to book now. Plus, when you book through Get Away Today, you always save off the gate price and get one Magic Morning early entry when you purchase a 3-Day or longer ticket. Once the date for Star Wars: Galaxy’s Edge is released, it’s likely that hotel prices will go up too. Plus, you’re going to have a very hard time finding hotel availability. People are booking their 2019 Disneyland vacations earlier than ever before. What if you’re planning on going before Star Wars opens? You’ll still want to book now. Why? When you book with Get Away Today, we negotiate a number of exclusive deals. Our most popular are 3rd or 4th night free specials, and they sell out first. When you book your hotel early, you’ll always have the first choice. That’s going to be more important in 2019 than ever before. With all of this talk of not knowing exact dates, plus just the uncertainty of life, it’s hard to lock-in on something so far in advance. That’s where Get Away Today’s optional Peace of Mind Plan comes in. It’s like an insurance plan, so if anything changes, you can reschedule, drop nights, cancel an individual ticket or even cancel all together for one low price. When there are so many things that could change, it’s nice to know that your plans are flexible too. Just be aware that if you’re changing hotel dates, we just need to make sure that the hotel has at least 72 hours advance notice, otherwise they may charge the first night’s stay. If paying for your entire 2019 Disneyland vacation feels overwhelming, don’t let it be. Get Away Today offers a flexible Layaway Plan that allows you to hold your entire package for just $125 down for just one flat $50 fee. That means that you’re able to lock-in the lowest price on your tickets, confirm your spot at your first choice hotel, and have a ton of time to pay for it. Final payment isn’t due until two weeks before your travel dates. Plus, the plan is interest free and there’s no strict schedule. You could put a little bit towards your vacation with each pay check, or you could wait until tax return season and pay it in one lump sum. If you’re not traveling until the next holiday season, you’ll have nearly 16 months to pay for your trip.